The web registration for the Spring Semester 2019 is open from 7 to 13 January. You register online at https://www.student.ladok.se. If you do not register by 13 January, you will lose your place. 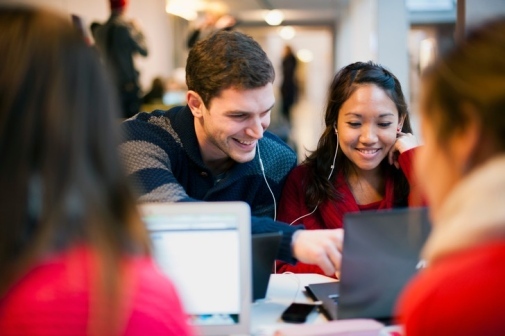 The web registration for the Spring Semester 2019 is open from 7 to 13 January and you register online via minastudier.su.se. If you do not register before this date, it is interpreted as renouncing your place of study and you will lose your place. With this you will get access to the university's IT services such as wireless network, etc. Once you have activated your account you will be able to order your university card and get access to the library resources, printing and scanning. To activate your university account you need to visit Infocenter and retrieve a one time code. By international students we mean exchange students, Erasmus students, master's students etc. Please bring a photo ID or a passport! If you have a Swedish personal identity number "personnummer" and have used universityadmissions.se/antagning.se when applying to courses in Sweden, you can use our web service: su.se/activate in order to activate your university account and also order your university card. You will not need to pick up a one time code. Please use Serviceportalen to contact Helpdesk. What is a T-number and personnummer? All international students are provided with a registration number from their study department. It is called a T-number and is a fictive number for use within Stockholm University’s database where your courses and credits are documented. Each Swedish citizen has a personal identity number, personnummer, used in these situations. You can not use the T-number outside of the University.